Gary Ronberg has been writing professionally for more than 35 years. A journalism graduate of Michigan State University, he's been a staff writer for Sports Illustrated, The Philadelphia Inquirer and St. Louis Post-Dispatch. He's the author five books and a contributor to a wide range of publications, websites and major corporations. 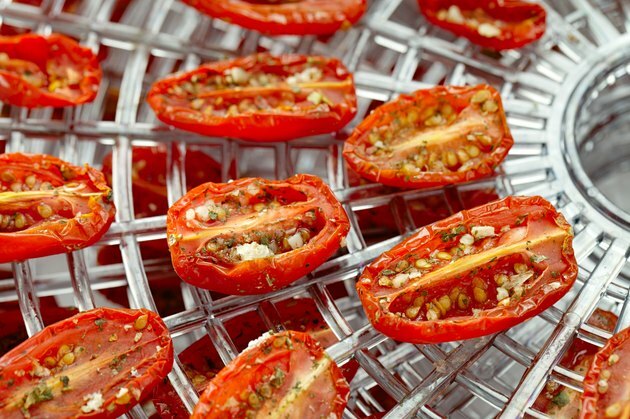 The modern dehydrator produces basically the same food with about 75 percent of its moisture removed. The only threat to deterioration is the remaining moisture. 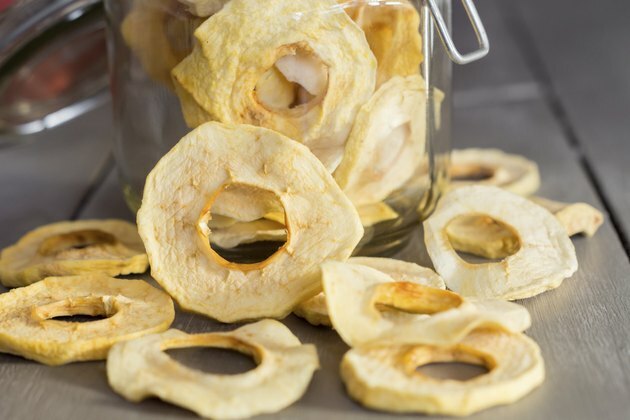 When dehydrating food, it is better to over-dry than under-dry. Once dehydrated, food must be packed inside airtight moisture-proof jars, bags or containers. It should be stored in a cool, dark area such as a pantry or cupboard. According to the Department of Nutrition, Dietetics and Food Science at Brigham Young University, rice, corn, wheat and grains that have been properly dehydrated, canned and stored will last 30 years or more. 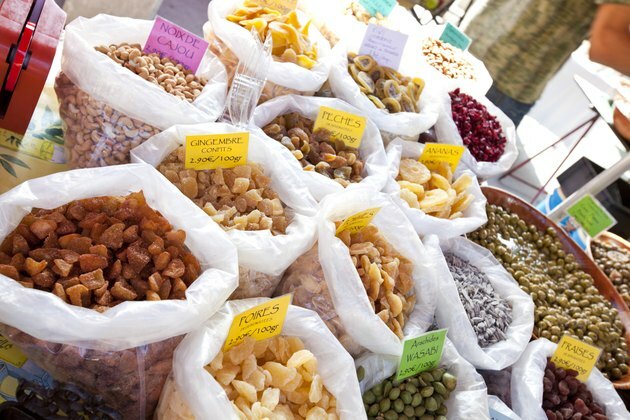 Dehydrated vegetables, fruits, and pastas have a shelf life of up to 30 years. Powdered milks or milk substitutes can last up to 20 years. "Living foods are uncooked foods," says The Healing Journal, and "dehydrating food dates back to Biblical times when it was a necessity." Modern dehydrators produce a thin food material with its vitamins and minerals still present. Dried vegetables and sprouts, naturally low in "high-cholesterol" fats, are high in fiber. Almost no Vitamin C is lost in dehydration, and all Vitamin A--Beta Carotene--in plant foods is retained. Such minerals as selenium, potassium and magnesium are preserved. According to the website Life 123, quite a few supporters of the raw foods diet still use dehydrated foods as main food sources due to their rich concentration of nutrition and enzymes. 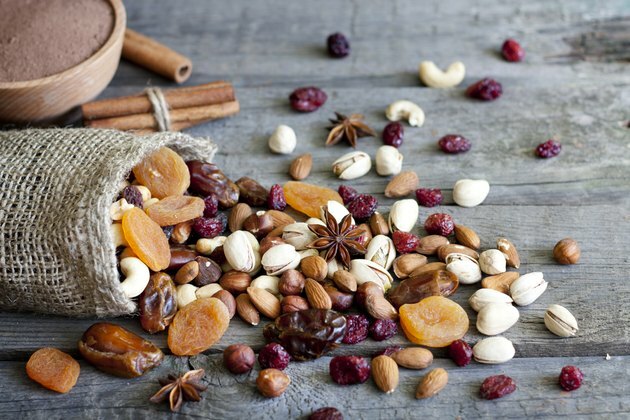 Do These 11 So-Called Superfoods Live Up to the Hype?